It’s not only the number of beaches we have here in South Devon that makes the region such a paradise for holidaymakers, but also the variety. At the one end we have popular family beaches with all the facilities you need for a fun-packed day out. At the other end we have dozens of tiny coves, many of which are only accessible on foot, and even some that you can only reach from the water. Spending time at one of Devon’s more secluded beaches can sometimes feel as if you have your own private stretch of coastline. In our view, what these ‘secret’ beaches lack in facilities they make up for in rugged beauty and serenity. Our locally-based team have picked out three of our favourite quiet beaches in Devon for you to explore. Gara Rock Beach, Seacombe Sands or simply ‘Gara Beach’ as others call it, is a large secluded sandy beach near Salcombe, with rocky edges ripe for rockpooling and some unforgettable views. You’ll find Gara Rock Beach between East Portlemouth and East Prawle. If you take the more direct walking route through Rickham, it’s a little under a mile from Mill Bay car park, which equates to around a 15-minute walk. Alternatively, you can walk along the Coast Path which is just under two miles. 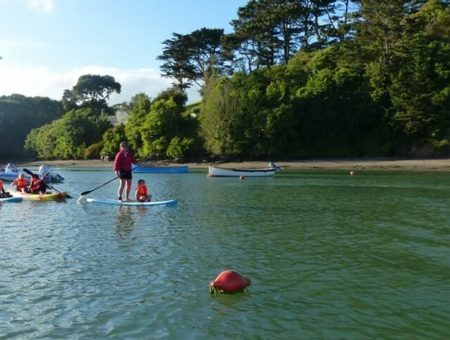 Being 10 minutes from the facilities at Mill Bay means that it’s practical enough to pop back perhaps once or twice during a longer stay. But it’s also far enough away to give you the sense that you’re on one of Devon’s more secluded, secret beaches. Expect narrow lanes, steep hills and plenty of potholes on your drive to Lannacombe Beach, which is one of Devon’s best kept secrets when it comes to quiet, secluded beaches. Lannacombe Beach is about 14 miles from both Dartmouth and Salcombe. It’s a south-facing sandy cove which sits to the west of Start Point. On the other hand, there’s no tricky walk at the end: you’ll find a car park (charges apply) right next to the sand. It’s easily worth the relatively lengthy drive from South Devon’s towns to explore this beautiful section of coastline. Frequented by local dog walkers and occasional shore anglers, Lannacombe Beach is a great place to get away from the hustle and bustle of the holiday season. See our dedicated article for comprehensive information about Lannacombe Beach including directions, photos and more. Like Lannacombe Beach, Mattiscombe Sand is a good-sized sandy cove with some rocky parts. It’s around 15 miles from Salcombe and slightly less from Dartmouth. While the drive includes some single-track road, it’s an easier journey than getting to Lannacombe Beach. On the other hand, getting to the sand itself does involve a 10-minute fairly steep walk, culminating with some steep uneven steps at the end. This means it’s probably not an advisable destination for those with limited mobility or very young children. Visit our article on Mattiscombe Beach for detailed information about this well-kept South Devon secret. You might also be interested in Westcombe Beach and Ayrmer Cove, both secluded beaches within walking distance of Bigbury-On-Sea and Challaborough. 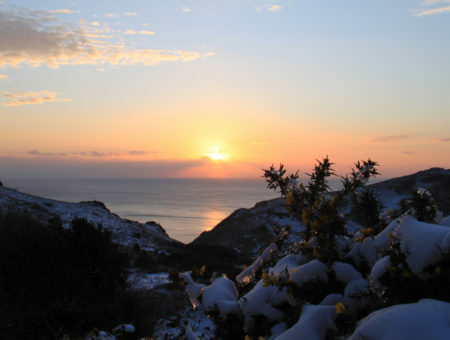 We also love Soar Mill Cove near Salcombe for its seclusion and beauty. Close to Kingswear, Man Sands is another nicely secluded and surprising spacious beach. 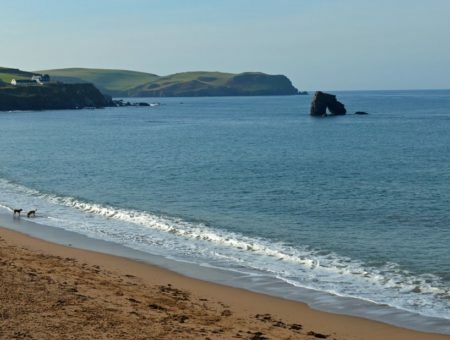 There’s much more information about the best South Devon beaches here, including links to comprehensive articles about the best-loved bays and coves in the area. Looking for a peaceful getaway this year? South Devon has miles of secluded Coast Path to explore, along which you’ll find dozens of hidden coves and beaches. Inland, the South Devon Area of Outstanding Natural Beauty provides countless walks through unspoilt countryside to help you unwind in the fresh, clean air. 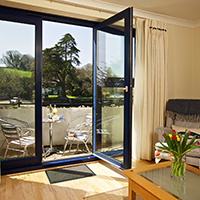 Book a South Devon holid ay now and start looking forward to your serene break by the sea.